I'm so excited to bring my Halloween inspired Story Time to London Libraries! If you have children between the age of 2-5 years old, come and join me with my story Weird & Wonderful! Listen to my musical story and be encouraged to use their listening abilities and their imagination. Learn all about the insects in the story. Make drawings of the story which will be published in a gallery on my website making them part of my creative world. Take part in the story and join in singing the Centipede's song. Your children will love singing along! Are you looking for a story that will encourage your child to learn about bugs? 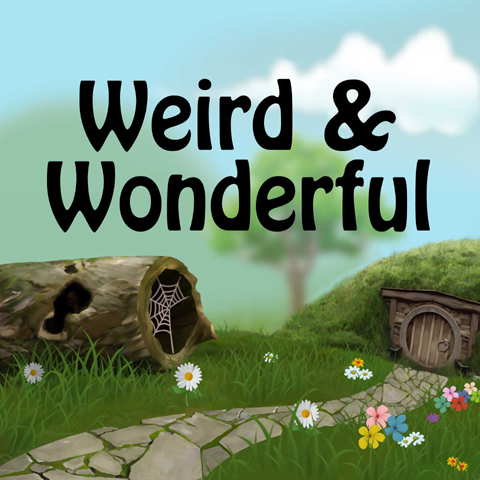 'Weird & Wonderful' is a sweet tale about less popular bugs such as slugs, spiders, centipedes and snails! It gives children a new perspective on bugs… even though they’re weird, they’re still wonderful! They will experience how these animals live from their perspective and the importance of not stepping on them. They will discover the sounds of instruments they may never have heard before such as the African Kalimba, Tapped Wine Glass sounds, the Pan Mallet and other Jamaican instruments. Your child will feel the calming, soothing effects of this soft and sweet sounding audiobook and enjoy singing along to the gentle song featured in the story. All of my sessions are free to attend. As it's Halloween, feel free to dress up!